I’ve decided to upgrade Bonzai based on a number of visits since my first review. 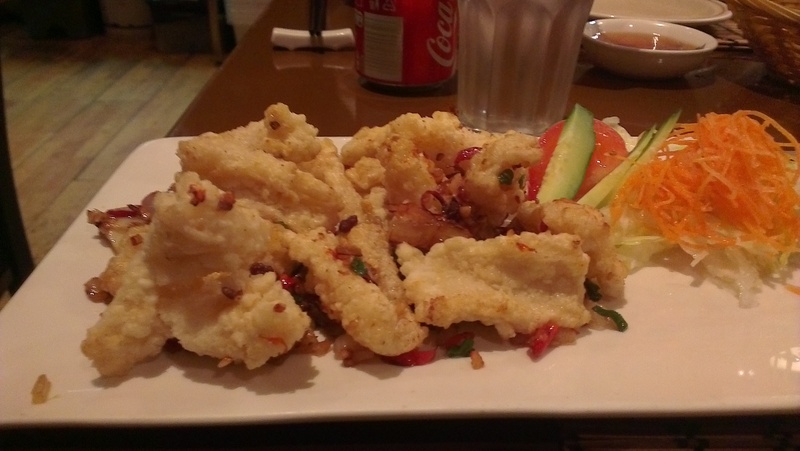 It’s become a go-to place after working late for me and a friend, I’m particularly fond of their salt & pepper squid, with plenty of chilli. 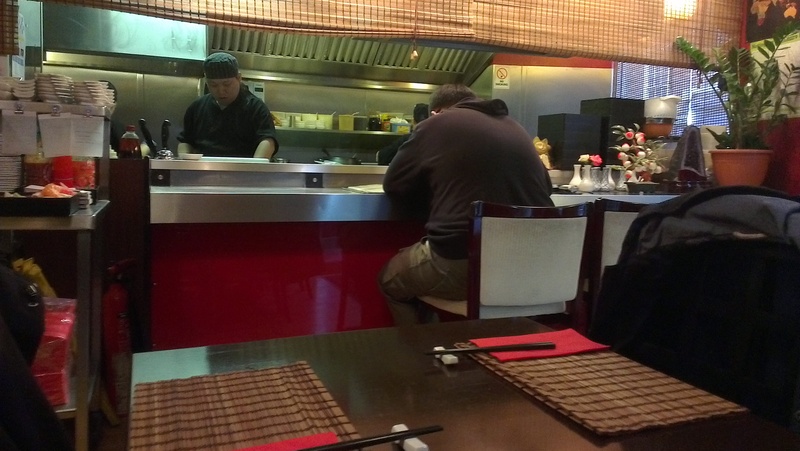 Bonzai, formerly skinny sumo, is situated amongst the shops and restaurants in Hockley. Somewhere between Thailand No 1 and Kayal it’s frontage and decor is a mixture of traditional and garish with a small counter to an open kitchen but a neon sign in the window and baffling modern music dance remixes in the background. The welcome is warm and the menu interesting pulling inspiration from all over Asia whilst Japan is still the main draw. 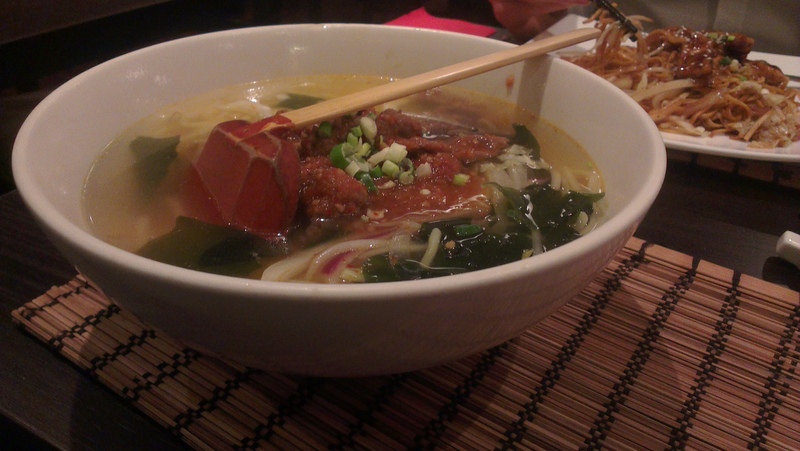 It is split between a number of different of types of dish; smaller plates, numerous sushi, noodles, ramen. Both of us chose the accurately named, big rice bowl. 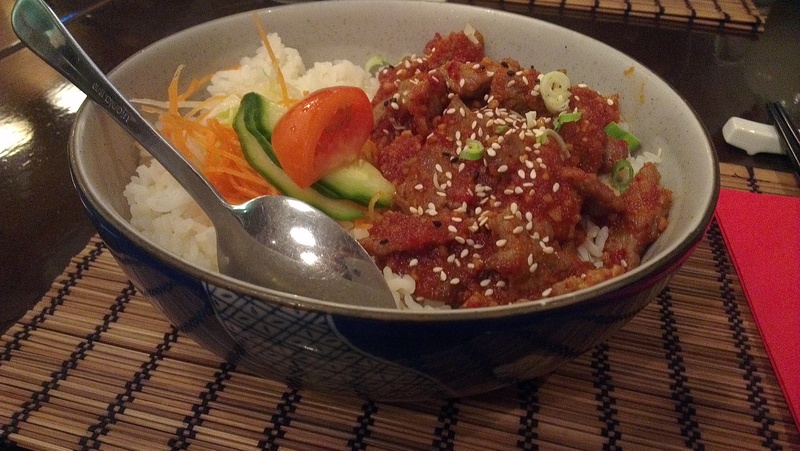 My was Korean spicy beef, whilst it wasn’t quite as nuclear as the 38th parallel it certainly packed a fiery punch with tender meat and good, sticky rice. A teriyaki example didn’t quite carry the same flavour and needed something else to cut through the expanse of rice. Also ordered were chicken yakitori and nigiri sushi. I thought of these as an interesting comparator as certain well known chains offer these. The yakitori’s was a nice sized portion which had moist chicken but a sauce which didn’t quite have the deep stickiness of the Wagamamma version. 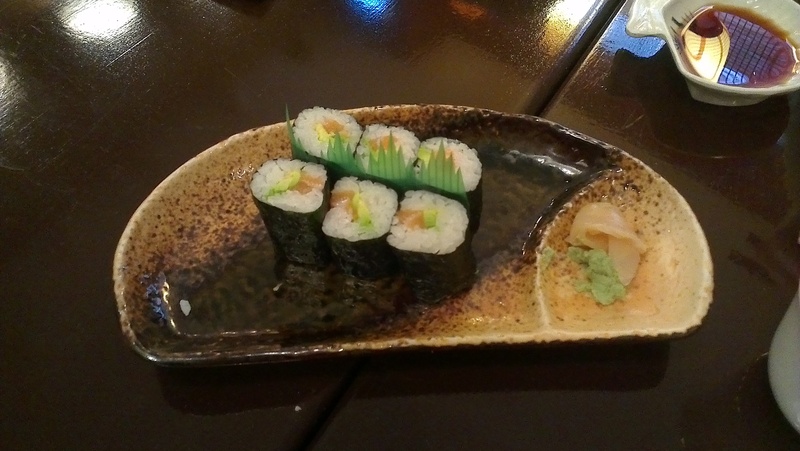 Sushi options were relatively standard, we chose salmon and avocado which had a better quality fish than you would find at the conveyer belted competition. We did strangely have to request soy for the sushi, but otherwise service was warm and flawless with dishes coming quickly. Whilst we didn’t pick the most exciting menu items I expected a little more than what was on offer, particularly the sushi. Having said that, at £15 a head we both left satisfied and having agreed to return to sample more of Bonzai’s repertoire. I’d certainly recommend for a change from Yo, Waga et al.